All our Dry Cured Bacon and Hams are cured here in the shop using a traditional cure to which we have added our unique blend of distinctive sugars, for those who like a Dry Cured Bacon or Gammon but prefer it slightly sweeter. Once cured the bacon or gammon is then sliced and vacuum packed to seal in all the flavour and freshness. Only the finest quality natural skins are used when making our sausages and our blend of fine herbs, spices and flavourings makes ours a sausage you will want to try again and again. Our sausages, cooked correctly, will not shrink unlike many factory produced sausages. We were so fed up with being supplied with poor quality pies, with little or no filling, that we decided to produce our own. Within months we were winning awards and now have a high demand, often selling out. All our pies our individually hand-crafted on the premises. We make all our own pastry and our fillings are made using specially selected cuts of meat and fresh ingredients to give a quality pie with plenty of filling. We added a Hot Pie counter by popular demand which is stocked from 10am each day until we sell out - usually by 2pm. 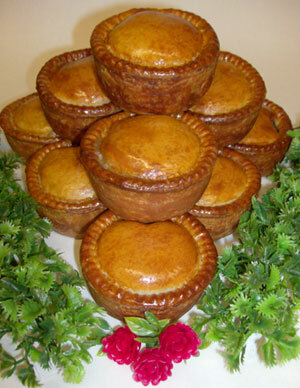 Our award winning pork pies are made the traditional way using hot water pastry and are jellied using trotters to give them that unique traditional flavour. 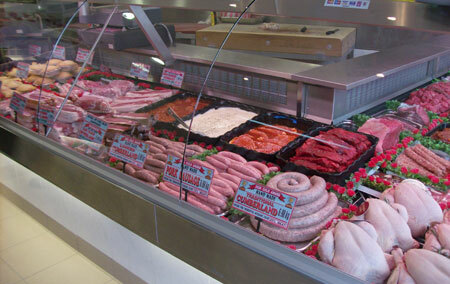 During hot weather we have a range of bar-b-cue meats including our own selection of burgers.